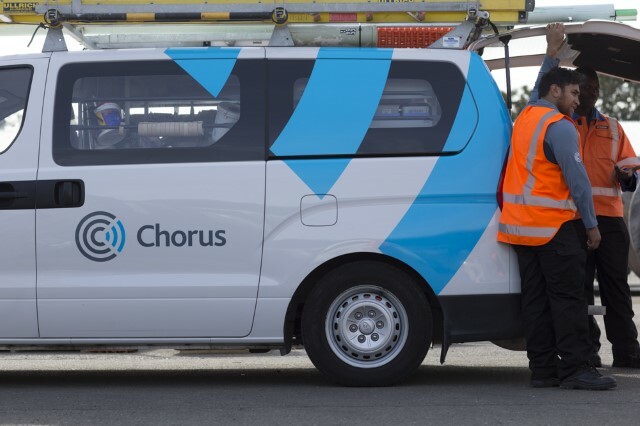 Chorus has announced that the build of the UltraFast Broadband fibre network (UFB2) in Carterton will commence in July 2018 and will be completed within a 12 month period. Fibre provides the broadband equivalent of an autobahn right to the door of homes and businesses, and it will future-proof Carterton for the anticipated continued growth in data consumption for generations to come. In support of the build start, Chorus will be holding a drop-in session for residents on Tuesday 10th July, in the foyer of the Events Centre in Holloway Street from 3:00pm till 7:00pm. Residents are invited to drop-in, have a cup of tea and get answers to their questions about where, when and how the network will be built. If you have questions about how to connect, how to order, what costs are involved then come along. As part of the UFB2 programme, Chorus will roll out fibre to 169 new areas throughout the country. The entire UFB programme covers about 1.3 million households, businesses, schools and medical centres. The benefits of fibre have already been widespread throughout New Zealand, enabling improved patient care, allowing better access to educational online resources and boosting commercial productivity. Fibre together with online streaming services such as Netflix has transformed customer behaviour with more and more people choosing to stream online video services, and therefore requiring faster internet. As more people are realising the benefits of fibre, demand has increased substantially. Monthly household internet data consumption has burgeoned in the last five years. In 2011, as the first phase of UFB was announced, the average kiwi household used about 13 gigabytes of internet data a month. This has grown to more than 200 gigabytes a month today. To find out whether your property will be included in the fibre broadband build area, go online to www.askforbetter.co.nz and enter your address details. You will be advised what services are available today for that address and – if inside the build area – when the fibre upgrade will be available for that property.